Ghostwood is the 7th full length solo release from Taphephobia, the one man dark ambient project out of Trondheim, Norway, created by Ketil Søraker. 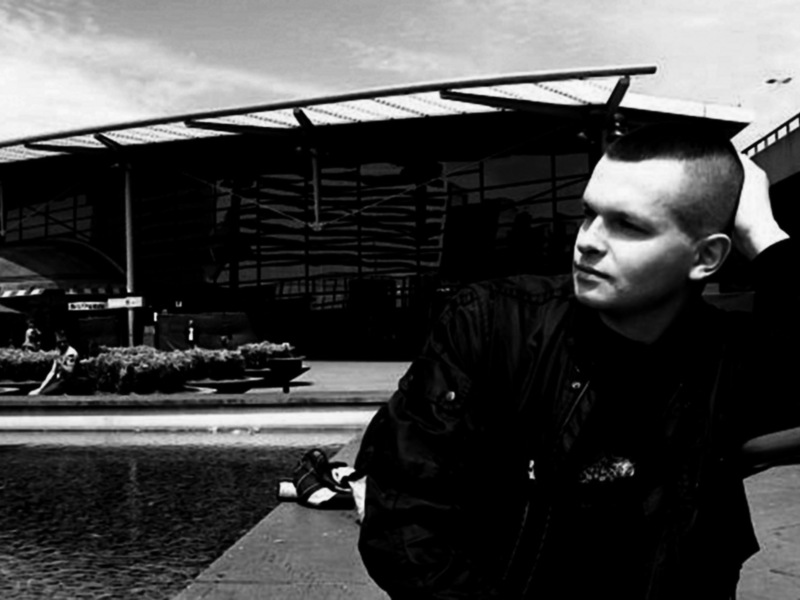 Søraker has been creating music as Taphephobia since around 2004, after he split from Northaunt. To this day, Ketil Søraker and Hærleif Langås are still friends and worked together on a project in 2009, entitled Mulm, along with fellow Norwegian Avsky. 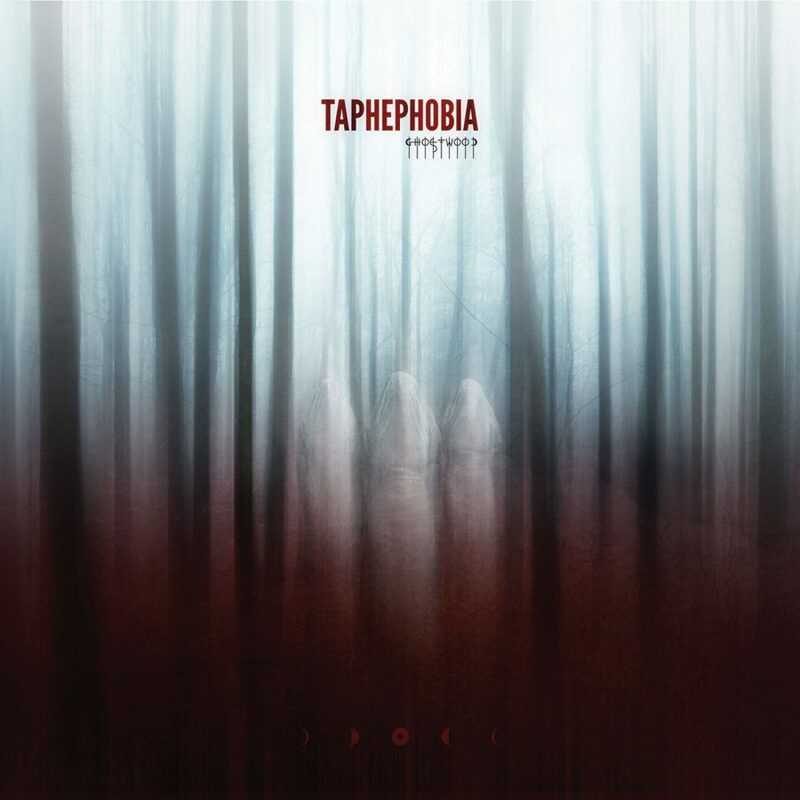 Langås has also contributed album art for several Taphephobia releases. In other noteworthy news, concurrent with the release of Ghostwood, Taphephobia released a split, also through Cyclic Law, with Kave, a dark ambient project by Bram Gollin out of the Netherlands. (Read our review of that split here.) Yet another recent release by Taphephobia worth mention is the re-issue of his long sold-out debut House of Memories, which found its new home on Reverse Alignment. So, it’s quite obvious that Ketil Søraker has been staying very busy recently. Ketil Søraker said in a recent interview on Terra Relicta that he’s been working on this new release Ghostwood from 2012-2015. So, it should be immediately obvious that this gentleman is not one to hastily toss any half-baked idea onto Bandcamp, saturating his discography with filler. Instead, Søraker puts quality over quantity and makes sure that each Taphephobia release we hear will be something special. Something to treasure for years to come. Followers of previous works by Taphephobia should, by this point, expect an album that is heavily focused on the use of guitar to create these droning soundscapes. While Ghostwood holds to that formula, and even increases on it in ways, there is a new element here in his use of flute. Adding these processed flute sections to the release gives it a bit more natural vibe, the wind instrument adding a nice complexity to the usual string based arrangements. It also helps add to the theme, as some of these flute sections can remind the listener of birds chirping, deep in this lonely forest. There are sections with more synthetic sounding dark ambient elements. But several tracks on Ghostwood take Søraker’s use of guitar to a bold new level. We can most notably hear this element on “Transformed Through Alienation” which allows a clean guitar sound to rest atop the droning elements which built the foundation of the track. These slowly strummed guitar chords add wonderfully to the elements of sadness and solitude, which are always so prevalent in Taphephobia. Though it might also be mentioned that this clean guitar-work could have a potential negative, as I’ve found it can be a bit jarring if I’m falling asleep with Ghostwood playing. This is, however, a minor issue for me, as I don’t expect any dark ambient artist to create an album with a constant focus on keeping it “slumber-friendly”, unless a sleep-themed album is the primary goal. Another track of particular note is “Hospital Ward”, which many have pointed out has a more positive tone than the majority of Søraker’s previous work. The clean and clear guitar sounds, mentioned above, are also present on this one. The chord progressions used, as well as the sort of higher-pitched and faster-paced backing drones give the track an undeniable sense of light and hope. But, it doesn’t come close to pushing into “happy” territory, there is still plenty of melancholia drenching every second of Ghostwood. Søraker’s voice is used sparingly but is certainly noticeable throughout Ghostwood. We hear him softly speaking various phrases through “Unwanted Visitors”. “Thunder Over The Boardwalk” might be my favorite track on the album. We have Søraker singing here, in a half-whisper, like we’ve heard occasionally throughout his career. This track seems to sort of pull together all the great elements of Ghostwood. As mentioned, the vocals are present, and they are one of the most successful uses of vocals in Taphephobia I’ve heard to-date. But there is also a very clear guitar element present. These two elements blend beautifully atop the serene-yet-melancholic droning undercurrents. One can almost feel themselves on a lazy afternoon stroll, alone, down some long-forgotten boardwalk, watching as the clouds slowly condense and darken, preparing for a violent storm. Ghostwood is, to me, the full embodiment of Ketil Søraker’s vision of Taphephobia. 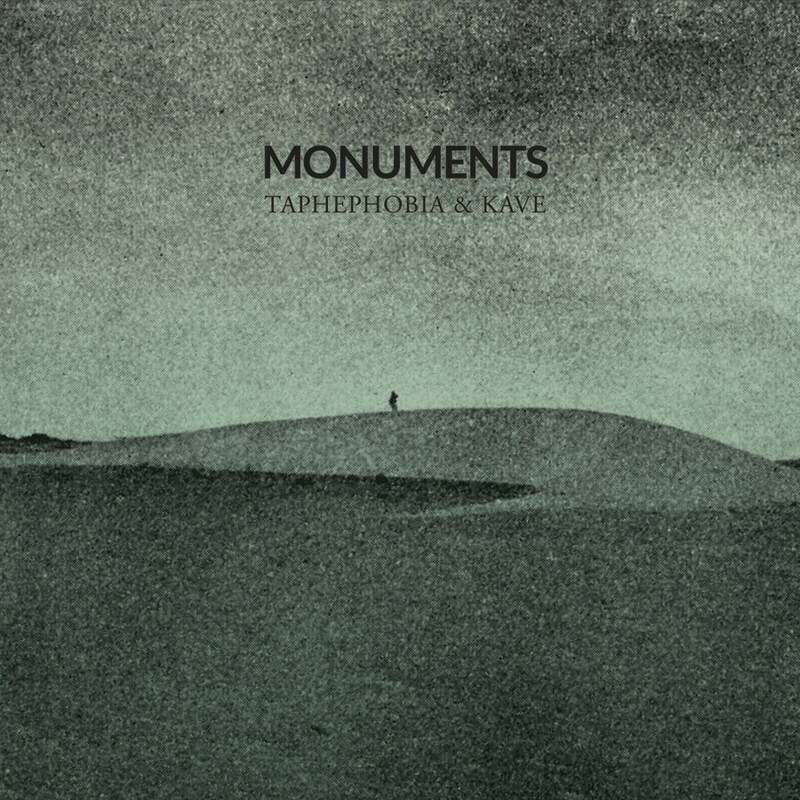 What started as him looking for his own sound, with House of Memories, has slowly progressed into what is now referred to as “the Taphephobia sound” describing his combination of synthetic and guitar drone, matched with sparse, somber vocals, and a deep, sometimes overwhelming, sense of melancholia. Taphephobia should be one of the leading dark ambient artists for listeners looking for active yet peaceful dark soundscapes. The guitar and vocal elements make for a nice familiarity factor for those less versed in the styles of dark ambient. Creating an album which is inviting to the newly initiated, but also solid enough to attract praise from the most die-hard genre fans is a feat worth congratulating. With all this said, I would recommend Ghostwood to dark ambient fans, old and new, that find more active, yet still relatively reserved forms of dark ambient to their liking. This one should be considered a milestone in the career of Taphephobia, and an indicator that Søraker still has plenty of new ideas to share with the world. Visions and Phurpa have come together for a project I was not at all expecting! The two veteran producers behind these projects bring together two very different styles for something that sounds perfectly natural to both of them. 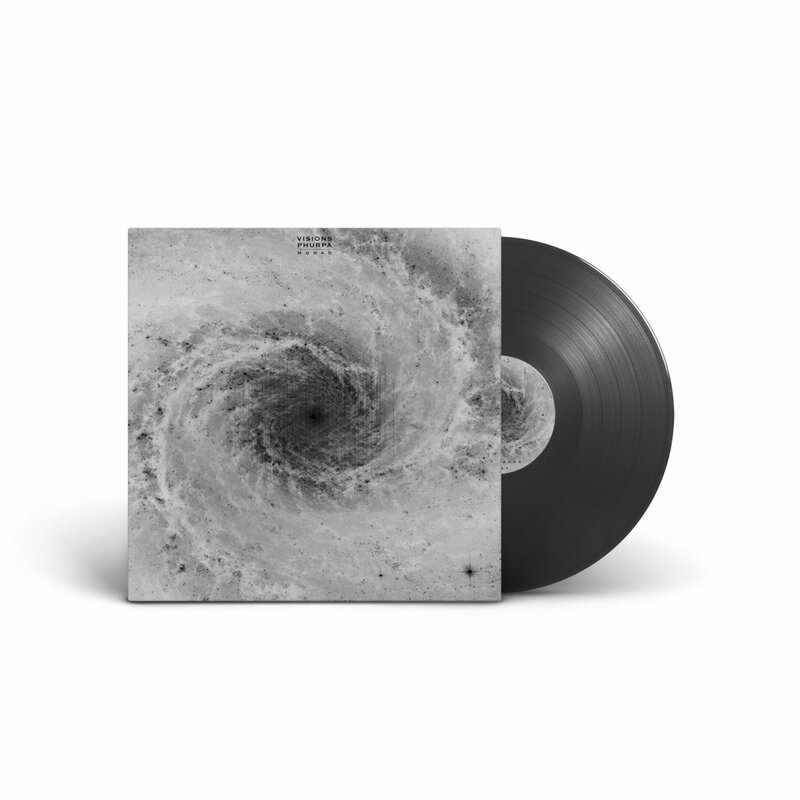 Monad is a ritual ambient release, with a heavy dose of thick spacious drones. 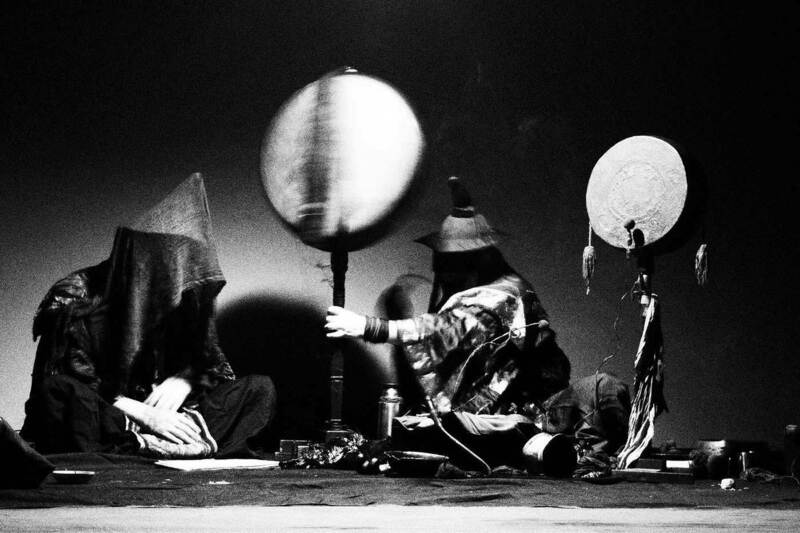 Phurpa provides the throat singing, which is immediately and most obvious at the opening of “Ascendance”, as well as incorporating sounds from their large collection of ritual bells, chimes, etc. Visions provides, what I assume to be, the rest of the soundscapes, including drone-work and the final mix and mastering. 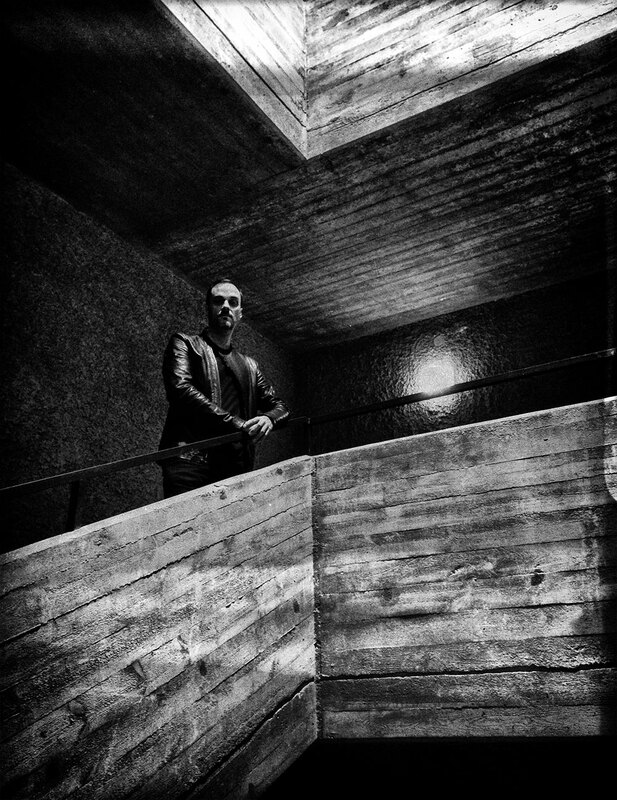 Visions is the most active musical project of Frédéric Arbour, the man behind the Cyclic Law record label, one of the most revered labels in the dark ambient genre. Monad is the third release from Visions, who released their debut Lapse on Cyclic Law in 2005. After the 2010 sophomore release, Summoning the Void, Frédéric Arbour put the Visions project on hold indefinitely. During this time, among other things, Arbour moved his studio space and the whole Cyclic Law headquarters from Canada to Berlin, all the while keeping the label moving forward. So, the delay in output is certainly warranted. Phurpa is a much more enigmatic project. 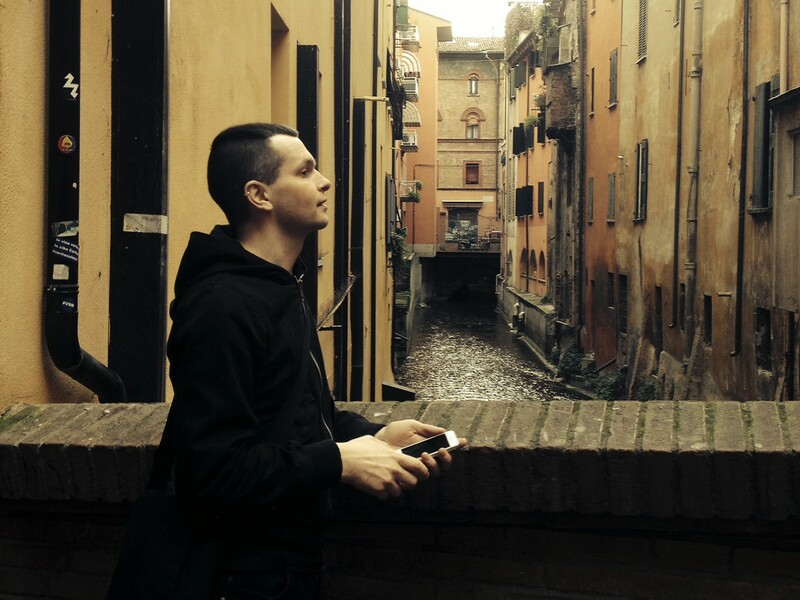 Phurpa was founded and led by Alexei Tegin, but also includes a number of other active members which often vary from performance to performance. Phurpa was founded with the idea of using Tegin’s knowledge of and dedication to the spiritual traditions of Bon and Dzogchen as a compass in the creation of their rituals. Phurpa use the Tibetan gyukye style of tantric overtone singing/chanting to create the foundation of their music. They add to this a variety of Tibetan ritual instruments, which again vary from album to album. I’ve been following Phurpa for some years now, and heard a good many of their albums. But, I had yet to actually review one. Their music generally falls into a ritual ambient space that, I would say, is quite outside the realms of your usual dark ambient album. Though, the fan-bases of these types of music are so over-lapping that it makes sense to release their music on labels that are predominately dark ambient. I knew immediately on hearing the opening seconds of Monad that this release was different. “Ascendence” starts with the customary throat singing style of Phurpa, but within seconds a wall of dark ambient sound starts to form behind the vocals, and then intertwining with them, forming a dense yet earthly drone. The Tibetan ritual instruments begin to fall into place in the background. All this together evokes a deep primordial connection between the listener and the soundscapes. “Fohat” takes us further into this hypnotic mélange of the ritual and the electronic. But, the drones here take on a more hollow, airy vibe, and the vocals become more submerged in the dronework. As the track progresses, everything seems to take focus, comes to a sort of crescendo, a moment of elightenment for the listener. At this point, I can’t help but feel that this track is going into territory that is similar to some of the very best works by raison d’etre. 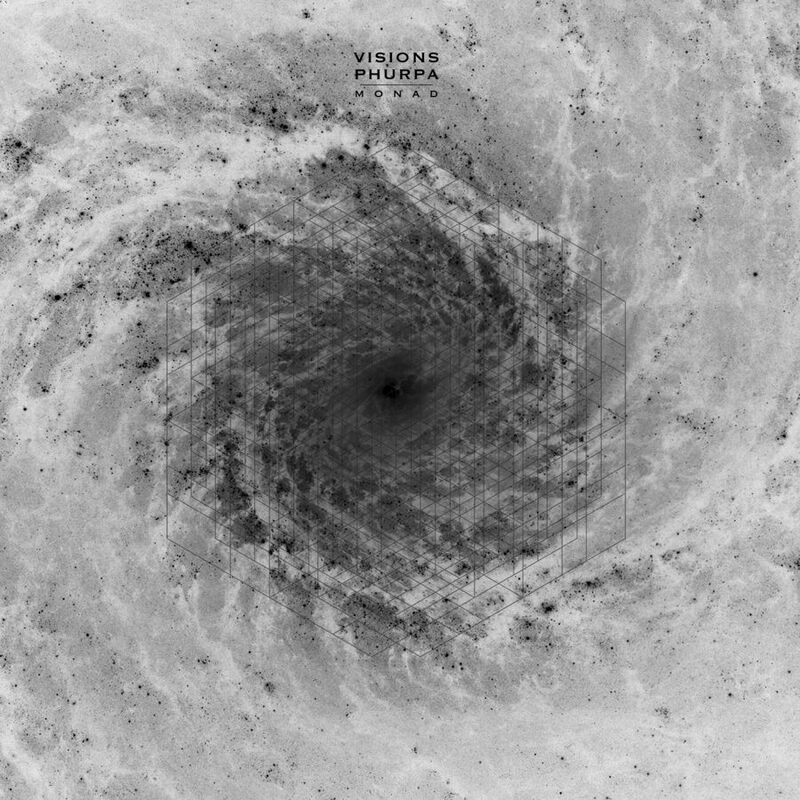 The technical prowess of Visions matched with the cosmic energy of Phurpa takes this particular sort of sacral/ritual ambient to truly impressive heights. I, also, can’t help but feel that their hearts are absolutely behind every second of this. Starting Side B, “Monad” is a much more reserved and contemplative track than what we saw on either of the opening tracks. The drones and vocals are both calm, soothing, and again blend together impressively well, often leaving me forgetting that I’m hearing two totally different forms of “drone” at play. “Reminiscense” is more dynamic, but still incredibly calm, leaving this whole second half as perfect for background during meditation, study, etc. 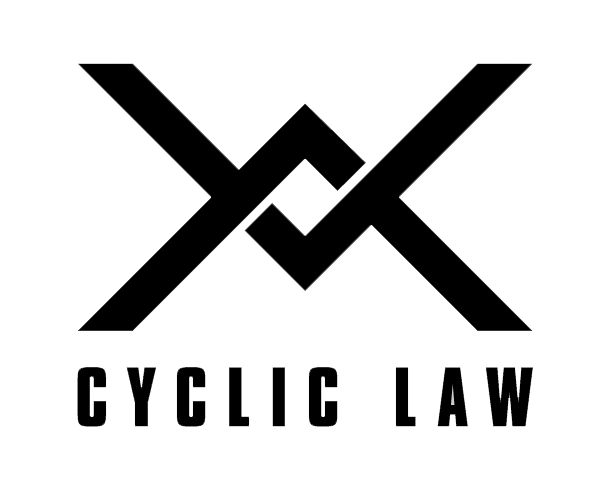 Monad is the 100th Cycle on Cyclic Law. A true milestone for any label. Especially for Cyclic Law, to look back over these releases, there are so many gems of the genre here. Albums that were turning points for sub-sections of the genre, albums that have stood the test of time. If Monad is any indication of what we can expect for the next 100 Cycles, we are in for another great ride! Arbour decided on a vinyl option for this release, which works great, as the cover art is really fantastic and looks even better in the larger size, and the track lengths make for a good fit, not leaving a ton of dead space at the end of both sides. 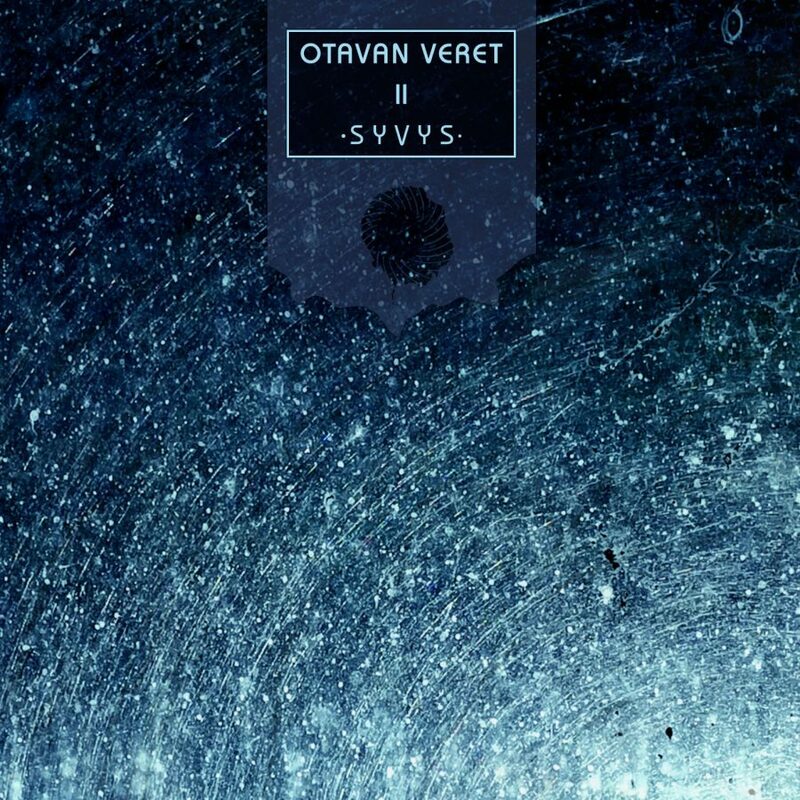 I would highly recommend this release to fans of ritual ambient, but the work by Visions done here totally warrants a listen for fans of the more traditional types of dark ambient. In the end, I could call this as much of a dark ambient release as ritual ambient. A must-hear regardless! Taphephobia is Ketil Søraker from Trondheim, Norway. 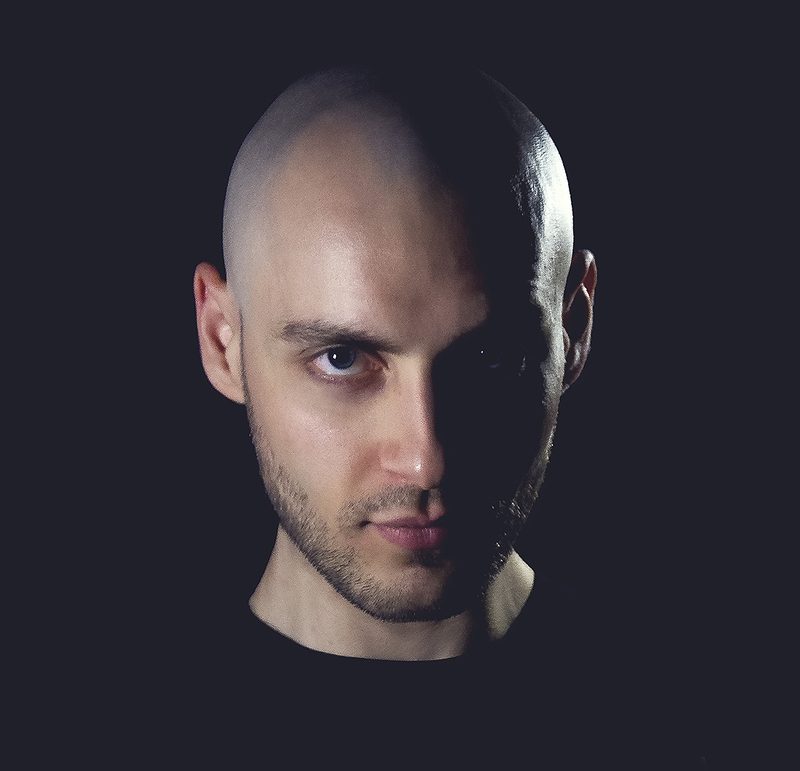 His project has been active since his 2007 debut, House of Memories, which has just seen a re-release on Reverse Alignment. Before this time, Søraker was the second member of Northaunt. 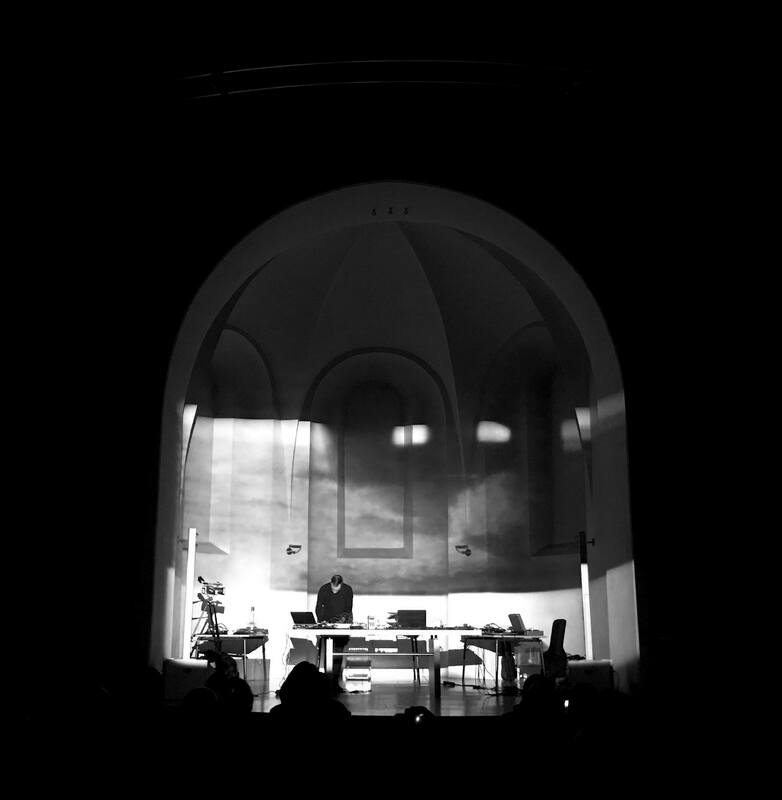 Søraker made his Cyclic Law debut in 2013 with Escape From The Mundane Self, an album which showed a honing of his style and was lauded by the general dark ambient community. Simultaneous with the release of this split, the latest full length by Taphephobia, Ghostwood, is also available. Kave is a musical project by Bram Gollin of the Netherlands. My first experience with the project was his 2015 release on Cyclic Law, Ominousium. But, before this, Kave had already released a full length, Dismal Radiance, on Eibon Records and self-released the EP, The Language of Stones. On all these releases, Kave delivers a reserved style of dark ambient. One that evokes long lonely nights, walks through the vacant streets of some northern town, or through the coniferous forest, on its edge. Monuments takes both artists into a territory that seems to be incredibly fitting for their styles of sound, contributing tracks which roughly run 20 minutes each. This gives the reserved styles of both artists time to fully evolve into something beautiful. Taking the cover art and album title into consideration, the theme feels to me as if it is describing humanity as monuments among the barren landscapes of the past, and likely the future. Or, from a different perspective, a single human, standing atop a beautiful vista gazing at the world beneath, both wishing to be a part of it, and content in solitude, at one with nature. From a technical perspective, the opener, “Entwined with the Dark” by Taphephobia is a bit more dynamic in approach. Starting at a gentle whisper, the track gradually expands in density and volume, reaching an apex shortly before its close. Taphephobia incorporates guitar drone in a style that will be familiar to his loyal followers. Toward the end of the track there are some softly spoken vocals, adding a warm, human element to the otherwise frigid and barren soundscapes. On “Doldrumin”, Kave also uses a gradual build up, but his reaches its mid range sooner, and allows for a more ritualistic sort of experience, in comparison to the emotional edge on Søraker’s piece. As “Doldrumin” reaches its final minutes, the sound of beautiful choral chanting lulls the listener into a total trance, bringing the album to a triumphant and elegant close. I don’t usually cover many split releases, and I can’t think of a previous Cyclic Law split. But, Monuments really does work out well. It genuinely feels like two pieces of a whole. Two sides to a similar set of emotions or ideas. The length seemed to work out great for both artists, but I particularly was impressed with the work by Kave. Though I should add, I’m always pleased to hear new works by Taphephobia. But for me, this has become a given. So, it was nice to also find the second half of the release as appealing as the first. I would recommend Monuments to listeners that like more relaxing, laid-back dark ambient releases. This is not going to keep the full attention of the ADHD stricken for a full 40 minutes. But for those of us who enjoy a nice dose of subtelty, this is the perfect companion to your night in solitude. raison d’être has been one of the most beloved and recognizable names in the genre of dark ambient for over 20 years. His early work on the Cold Meat Industry label would be inspiration for numerous artists that came after him. His style of dark industrial soundscapes blended with contorted chants is immediately recognizable and often imitated, but never duplicated. It’s crazy how much can change over a few years. For many young dark ambient listeners, raison d’être may not even be a familiar name. While he made huge waves in the late 90s through early 00s, recent output by raison d’être has been less frequent and less impactful on the scene. Meanwhile, veteran listeners are still playing their old copies of The Empty Hollow Unfolds or Within the Depths of Silence and Phormations like they are hearing them for the first time. Alchymeia struck me immediately as a so-called return-to-form. Veteran listeners should find everything they love about raison d’être in this release. The samples of a thousand clattering bells, chimes and random metallic objects are present through every track. The drones are sometimes crushing and sometimes light as a feather. But the thing that will likely be the most welcome is the frequency of chants. 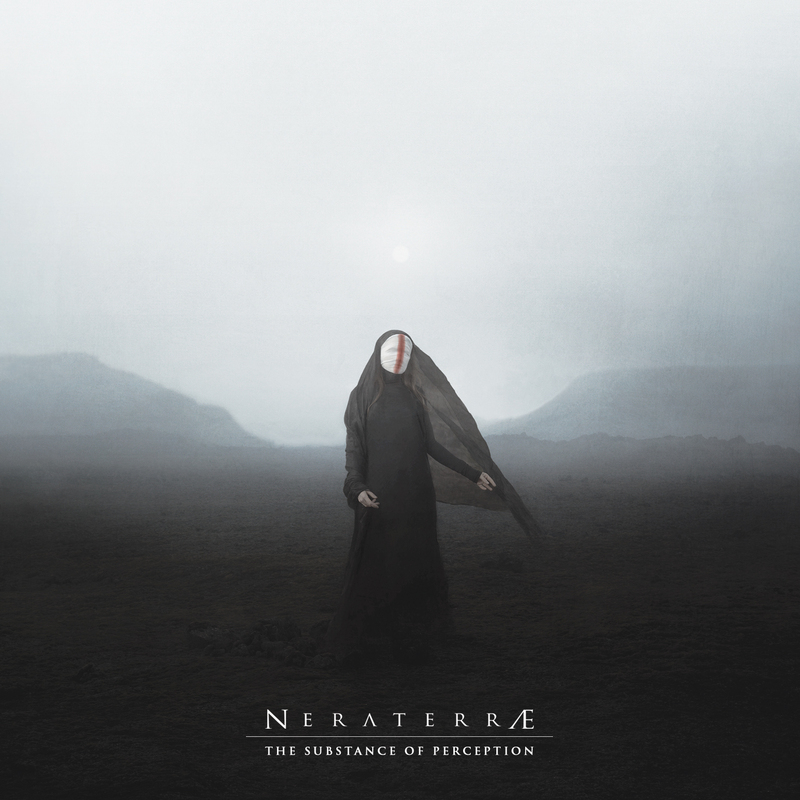 The recurring complaint I’ve heard from dark ambient fans over the last few years was that there has been too much of the harsh industrial elements and not enough of the sort of dark beauty which raison d’être is so masterful at weaving. Albums like metamorphyses and Mise en Abyme were perfectly hypnotic and showcased the work of a veteran musician. But they didn’t have that heart-melting impact of some of the earlier classics. Alchymeia finds a perfect balance between the new and the old. The industrial elements are still bold and mixed prominently into the tracks, but those other elements, the delicate play on chants which create a sort of perverse beauty, have added just the right amount of emotion to the album. The opening track “Nigredo” gives us an introduction to the theme of the album. Alychymeia is a look at the various elements of alchemy, from its dark mystical conjurations to its more practical uses. The topic seems fitting for an album with such a bold blend of the religious with industrial. A sort of melding of emotion and science. “Nigredo” in alchemy means putrefaction or decomposition. Many alchemists believed that as a first step in the pathway to the philosopher’s stone, all alchemical ingredients had to be cleansed and cooked extensively to a uniform black matter. So, too, this opening track can be viewed as an entryway to the greater product. “Albedo” really brings the idea to fruition of a washing away of impurities. That deep dark male chant which dominated the beginning of the track gently fades away and is later replaced by a female choir chanting a piece which is incredibly beautiful. It seems to radiate a sense of hope and levity which is in total opposition to anything we’ve previously heard on the album. “Citrinitas” and “Rubedo” continue to move on in this fashion. Each track of the album working with the themes of each of the four alchemical stages. These four stages are all preparation of the magnum opus in alchemy. The magnum opus being the process of working with the prima materia to create the philosopher’s stone. It is not hard to imagine Alchymeia as the magnum opus of raison d’être. A return to form after years, Alchymeia is sure to delight and fully enrapture listeners. It is the perfect modern connection to the older works of raison d’être. If Peter Andersson will see this as his defining and final work, we will all likely hope for otherwise. But it is undoubtedly defining. It takes all the elements Andersson has been perfecting over two decades (closing in on three decades) of music creation and puts them to perfect use. The darkness is as dark as anywhere else in his discography, and the light is soul-gripping, heart-rendingly beautiful. 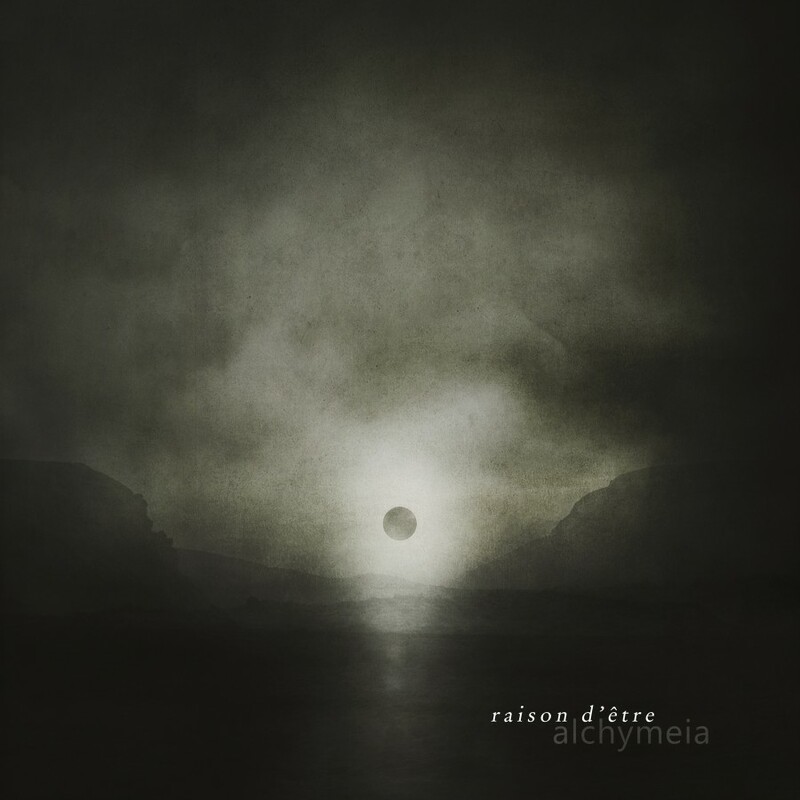 Alchymeia is, in my humble opinion, the album we’ve all been waiting for from raison d’être. Truly a magnum opus in every sense.